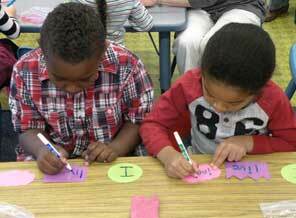 The Common Core State Standards require a deeper engagement with a smaller number of standards. 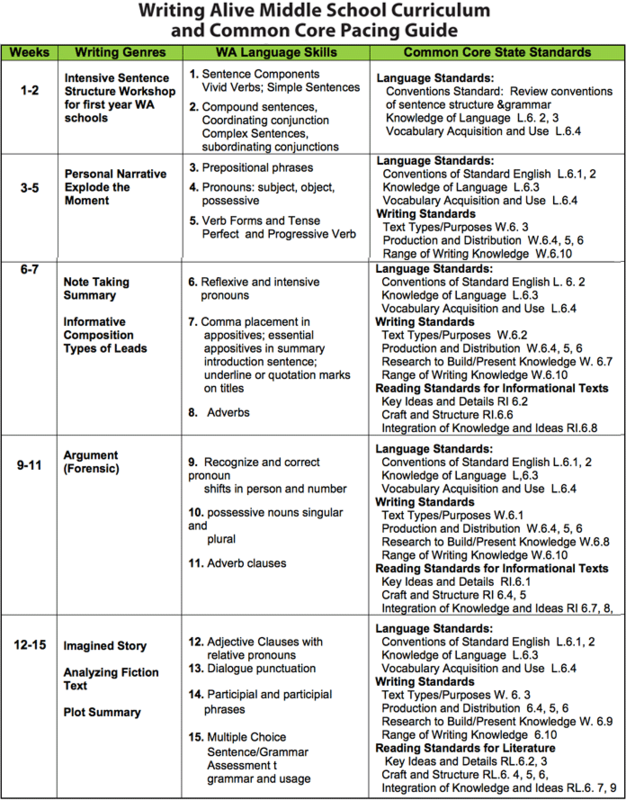 These standards require new approaches to teaching and enhanced rigor. 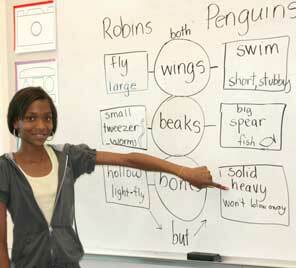 Students will be required to master more critical thinking and problem-solving skills. 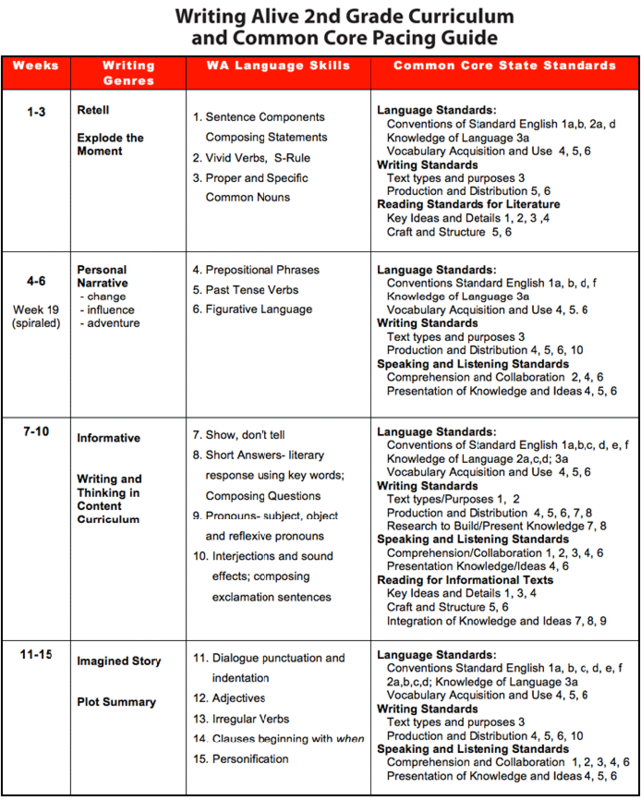 The Common Core Pacing Guides for grades K-8 show how the Common Core Standards are met every week and in every lesson of the Writing Alive curriculum. 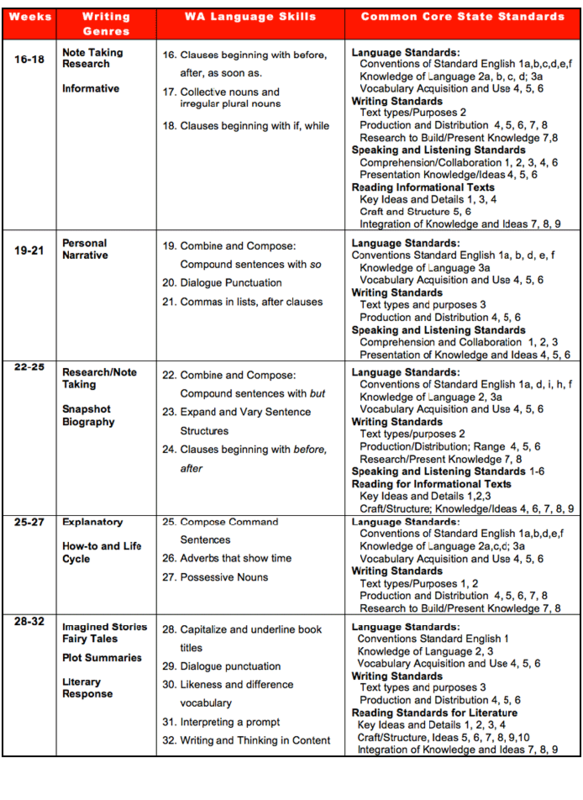 Grade-level Pacing Guides are provided in the Day by Day Curriculum Guides for teachers and in The Principal’s Guide to Writing Alive for administrators. 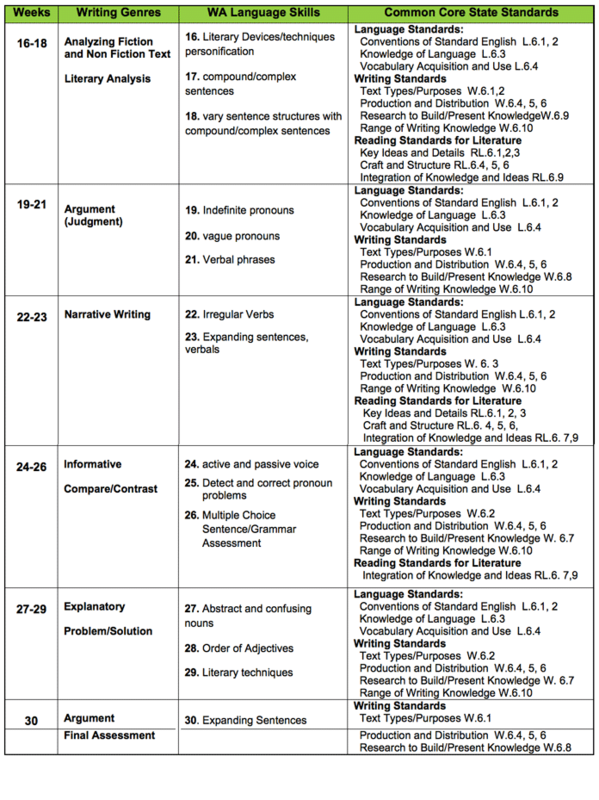 Below are examples of Writing Alive Grade 2 and Middle School Curriculum 1.